We set out to build a carbon bike perfectly suited for the kind of riding we do here in Northern California—hard climbing, fast descending, and tight cornering—without compromising comfort for speed. Emerging from an overall design that represents our state’s symbol, BEAR was born. 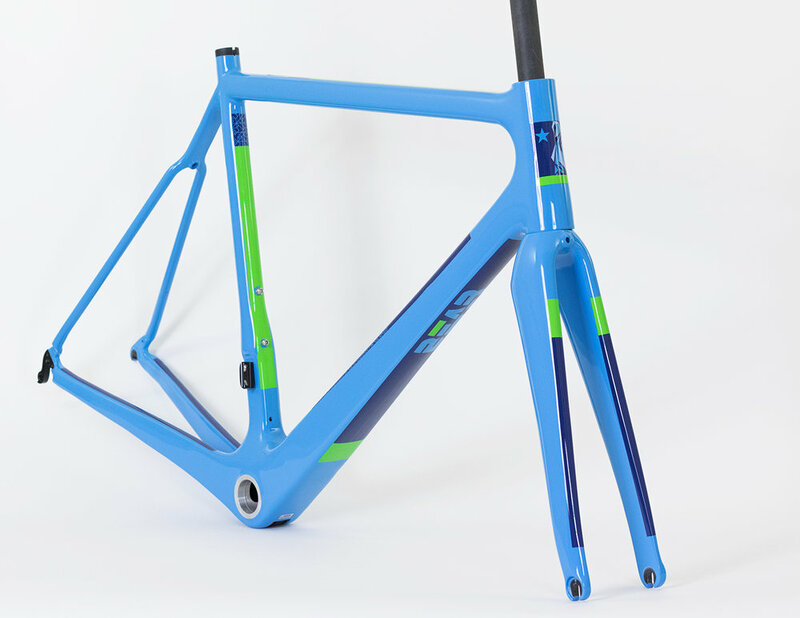 With its design, testing, and final assembly done in Marin County, our first road bike is named after one of the North Bay's most iconic climbs. The Pantoll 1 is engineered to soak up the bumps, while the chassis delivers power to the road for town line sprints or road racing. With geometry that delivers confidence and a design that symbolizes beauty and strength, BEAR provides a unique bike to your local Peloton. 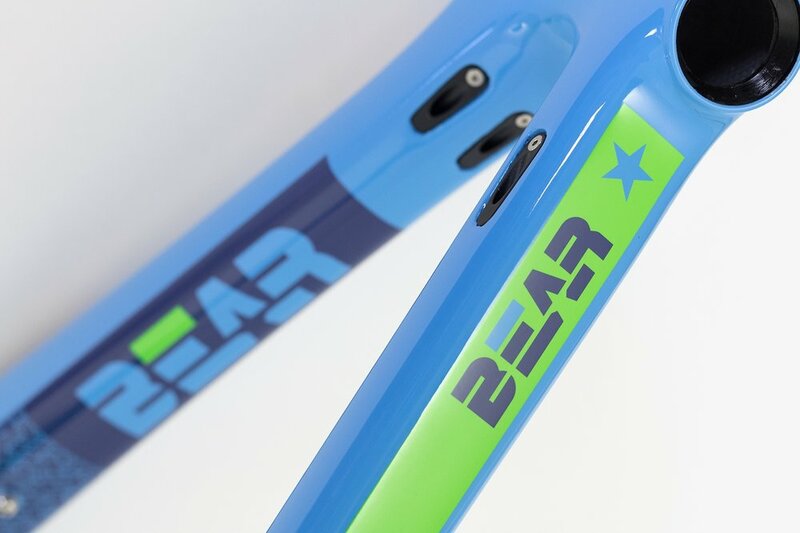 The BEAR Pantoll 1 frameset comes Shimano Di2 compatible with fully internal cable routing. It also easily converts to a 1x road for crit racing with a removable front derailleur hanger. BB30 bottom bracket allows for endless crankset options. 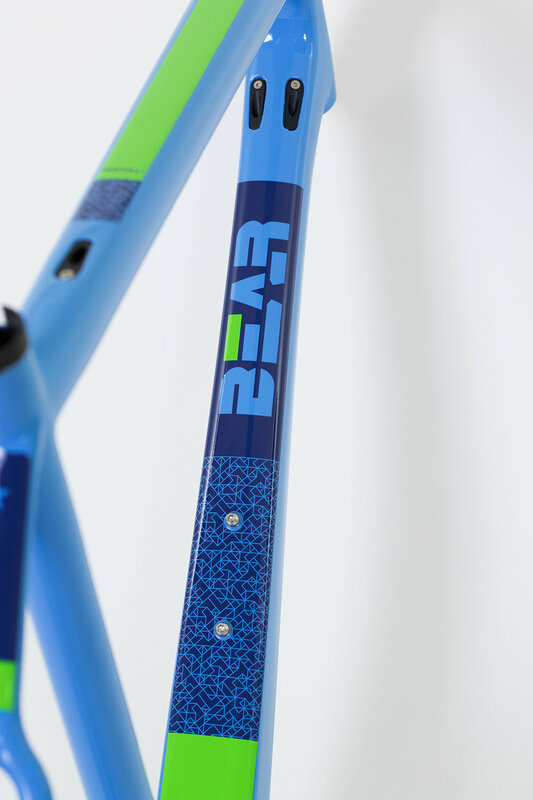 Frames come stock with an FSA headset and seatpost collar. 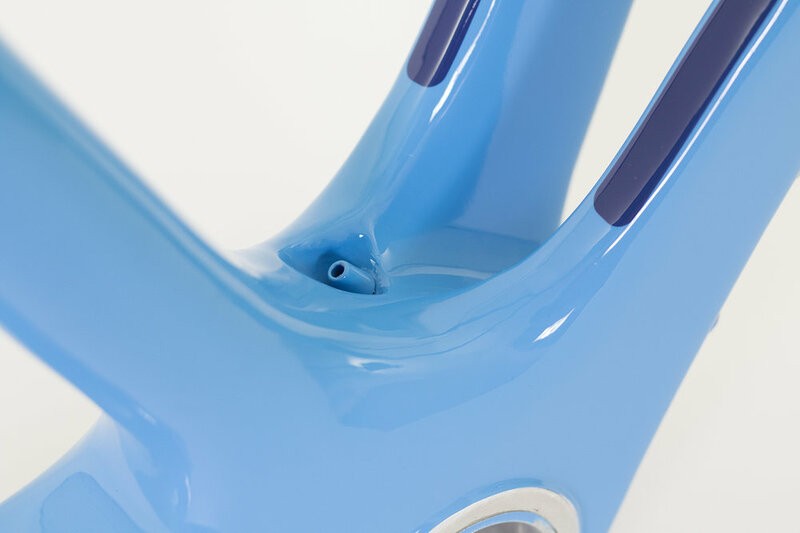 Also available in raw carbon, ready to become your custom-painted masterpiece. Geometry chart here. Actual weights: (50): 3.14 lbs, (53): 3.20 lbs, (55): 3.24 lbs, (58): 3.26 lbs, (61): 3.46 lbs.